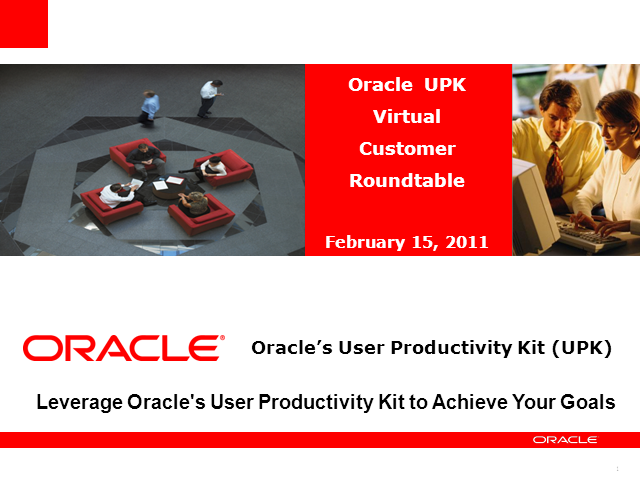 Join us for a live webcast to learn how Oracle’s User Productivity Kit can help you meet and exceed your goals. The webcast will feature Jim Boss, from the Panduit Corporation, who will share how Oracle’s User Productivity Kit was used with both Oracle and Non-Oracle applications to helped Panduit to meet their goals of cutting project timelines through conference room pilots, reducing project costs on a global rollout by leveraging web based training and providing ongoing cost savings through ease of maintaining material as the company needs change. The Application Leader: Hundreds of years of best practices, customer-driven enhancements and technology innovations.